Write with Fey: I SURVIVED! 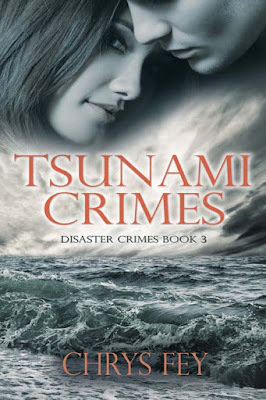 Blogfest - How did Disaster Chrys Survive? I SURVIVED! 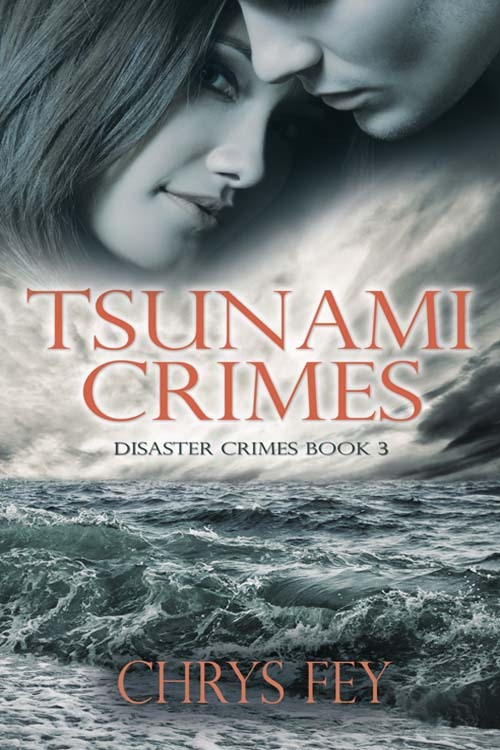 Blogfest - How did Disaster Chrys Survive? "This is Chrys Fey reporting for Disaster 5 News. I am in Central Florida where a tsunami hit yesterday morning. I have my doppelganger with me, Disaster Chrys, a survivor of the tsunami. Diz, can you tell our viewers what happened, and how you survived?" Diz: “You probably won’t believe me, but I’ll tell you anyway. “I was walking along the shore, collecting shells, when the water sucked back out so fast and far that I could see reefs, the breaker, and several fish flopping on the sand. A gust of wind tossed my hair over my head and caused me to stumble. I looked toward the ocean to see a giant wall of water. At once, it was frightening. And then magnificent; a humpback whale curved over the top. Its tail waved at me and splashed salt water into the air. Along the crest, dolphins jumped like synchronized swimmers performing a routine. “Something told me not to run, that I’d be okay. The water bubbled up my body, but it didn’t toss me around. Instead, it lifted me high, as if putting me on a watery throne. It swept me forward, making me feel like Poseidon’s Queen. “I peered at the gentle waves lapping around my hips and saw a school of mermaids below my feet. They waved at me, beckoning me to come play with them. So, I let my body sink under the surface. There was a mermaid with a black tail spotted with white barnacle, a mermaid with seaweed braided through her hair, and another with starfish attached to her arms. “A merman with cobalt blue hair and a crown of coral atop his head swam up to me. He put his mouth to mine, granting me his breath. He held onto me until the water stopped. Then he and the other mermaids lifted me onto a patch of green land. Before me stood a pearly-white unicorn. She bowed her head and lowered so I could climb onto her strong back. She carried me for miles. Eventually, I feel asleep. QUESTION: What "out there" survival story can you come up with? LOL I wish I'd thought of mermaids. Yes! Mermaids, whales, and dolphins together at last. That's great. Nice twist on the usual disaster. Magical creatures were everywhere! Now that's creative. So I COULD have used my underwater breathing from my dream! Fun version of this! Congrats on your blogfest Chrys. An excellent read. Quite the magical save to win the day! Way to go, Diz! Now THAT'S the kind of tsunami we'd all like to experience. You've got imagination out the wazoo, girl. Good luck with your new book. That is quite a tale. I love unicorns so I'm kind of jealous. Not sure what to believe but if Diz is taking something I might want to try some in the safety of my home. A fun post Chrys. Great Post Chrys! I want whatever Diz is having. Imagination runs deep in writers! Huh? LOL Loved the book! My hubby is reading it now. Have a wonderful weekend and congrats on Tsunami Crimes. Wishing you many, many sales! I husband is reading it? I LOVE THAT! wouldn't it be nice if people who died in tragedies were lifted out of reality and transported to worlds of magic and we just don't realize it? What a magical story. So happy you survived. I liked your account of the story. Congratulations! Wow, all these magic in one. Why not? Yes, why not? ;) Thank you, Lux!